Video games have become much more mainstream over the past few years. In fact, according to the Entertainment Software Association, by 2010 more than 67 percent of American households owned at least one video-game console. Video games can make great gifts for all age ranges. Many great games have come out this year, and in order to fit as many recommendations as possible we're focusing strictly on titles released since August. When shopping for games, be sure to keep an eye on the ratings, so you don't inadvertently buy little Tommy a title rated M (for ages 17 and up). There are a host of games that will make great gifts this season, so here's the low-down on some of the best game titles to hit shelves for the holiday. For the casual-gaming crowd, shooters are a popular choice and are abundant this year. 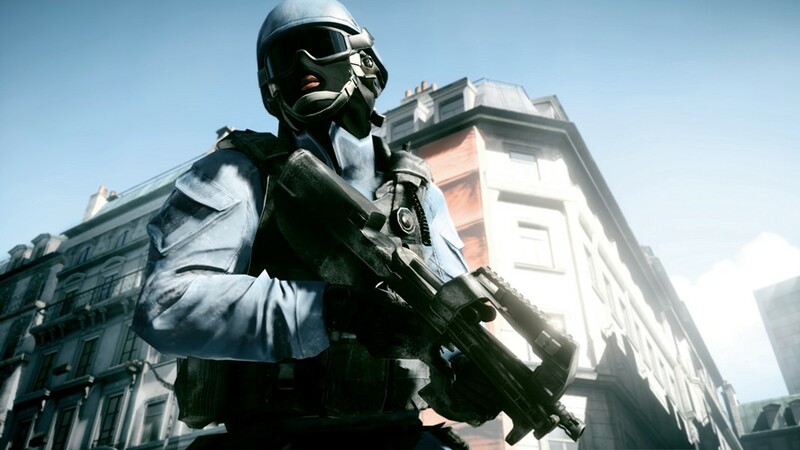 One of the bigger multi-player shooter games, "Battlefield 3" (available on Xbox 360, PlayStation 3, and PC), is a super-realistic military title that will blow your mind graphically, but most people pick it up for the multi-player mode that rivals the industry-dominating "Call of Duty" series. Less realistic and more sci-fi is "Halo: Combat Evolved Anniversary" (Xbox 360 only). This is a beautiful remake celebrates 10 years for the series and allows fans to replay the original campaign in high-definition, or at any point swap back to the old graphics. (Online play has also been upgraded.) Last of the big shooters is "Call of Duty: Modern Warfare 3" (available on all systems). The "Duty" franchise has blown up in the past few years and saw one of the largest media launches in history. If you have a gamer on your list who likes shooters and doesn't already own this game, they probably want it. There are some good options for the more hard-core gamers on your list. A personal favorite, and game-industry legend for being insanely difficult, is "Dark Souls" (360/PS3). Players are thrown into an open world with no real objectives other than to explore and stay alive. You'll go up against countless skeletons, demons, and monsters of all types. This game is definitely a challenge but is incredibly rewarding, and is a solid title for any gamers willing to give it a shot. Another industry legend is "Ico" and "The Shadow of the Colossus" Collection (PS3). This game is actually two completely separate games bundled together. Both were cult hits when they originally came out on the PlayStation 2 in the early 00's. Nearly everyone who picked up these titles fell in love with them for their unique game play and iconic stories. 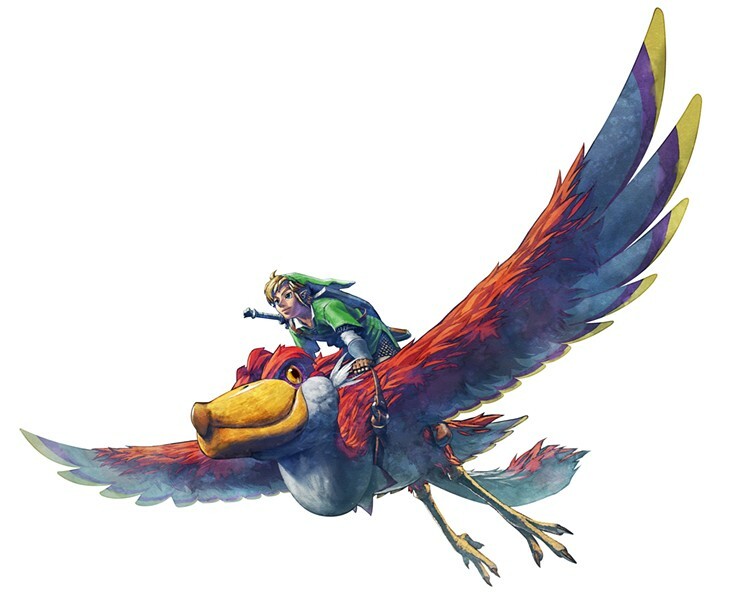 Lastly, Link is back for one last quest on the Nintendo Wii with "Legend of Zelda: Skyward Sword" (Wii). This title helps celebrate the 25th anniversary of the hugely popular franchise. The game takes place in heaven-like skies as players take control of Link as he once again comes to the rescue of Princess Zelda and the land of Hyrule. The game brings some new additions to the series and a beautiful graphical boost. There is also a sweet collector's bundle that comes with a 25th anniversary soundtrack and a golden, Zelda edition Wii controller -- a great steal, if you can find it. For the kids -- or adults who are still kids at heart -- there are some fun titles in stores this season. Also celebrating a 25th anniversary is Sega's mascot Sonic, celebrated with "Sonic Generations" (360/PS3/3DS). This title features two parts: part one is side-scroller akin to the original Sonic games, part two is modern Sonic style with a more mobile camera and traditional platforming. It's pays service to old fans of Sonic and it does a great job of sucking in new fans as well. After many years of bad Sonic games this one is almost perfect. 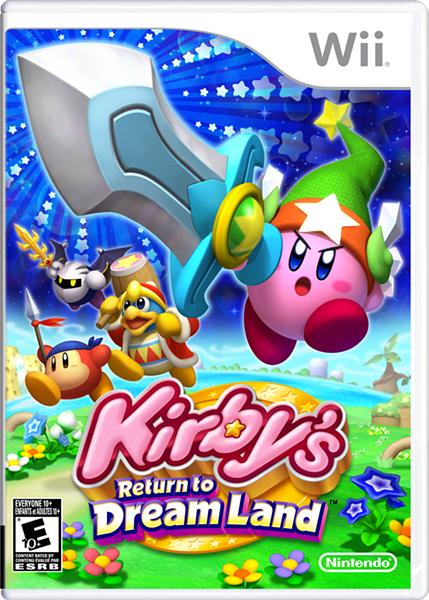 "Kirby: Return to Dreamland" (Wii) is the first traditional Kirby game since the 90's. It has simple side-scrolling gameplay and an added multi-player aspect that allows up to four players to join in. This game has a lower difficulty level along with a fun story and fanciful stage designs, making it a good choice for younger gamers. A big title focused on having fun with friends is "Skylanders: Spyro's Adventure" (available on all systems). This title comes as a bundle with the game, a "Portal of Power" peripheral, and three playable character toys. The unique aspect of this game is that you play as the toy you choose to place on the portal, and run around saving the world from and evil mastermind. Each toy character has their own abilities, features, and upgrades, and they are playable in any game on any system, making collecting, trading, and sharing them an objective for kids. I'll admit that I'm addicted to this game and collecting and upgrading the toys. Outside of the three characters that come in the bundle, dozens more are available for purchase in stores, which makes for even more gift options. COMPILED BY ERIC LACLAIR *NOTE: For additional holiday concerts check the music feature. I've been having a hard time getting into the holiday spirit this year. The weather has certainly played a big part. 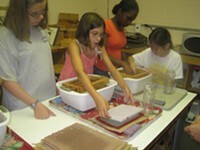 BY DEB SCHLEEDE Gift-giving between family, friends, coworkers, and other peers is a large part of the holiday season. By Kate Antoniades To make sure that the gifts you give your kids this year won't be outgrown, forgotten, or broken by the time the holiday season rolls around again, consider presenting them with a family membership offered by a local museum or organization. Tear your holiday shopping list in half, right down the middle. Keep the left-hand list of names of loved ones, ditch the right-hand list of whatever you were thinking about buying.